On the same day that Ross Ulbricht received two life sentences in federal prison for his role in creating the Silk Road black market, the top drug dealer on today’s Dark Net earned over $4,000 in 24 hours. The dealer—more of a full fledged business, at this point—is known as Medibuds, an operation that sells high quality medical marijuana anonymously to anyone willing to buy. 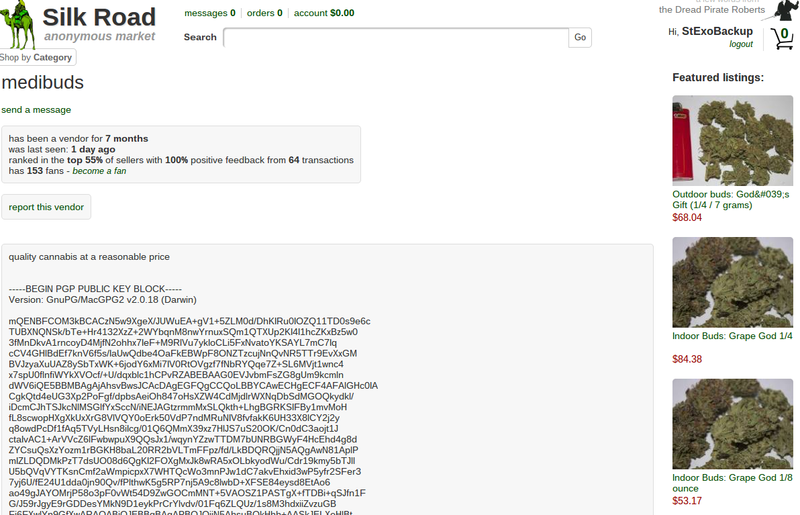 Sales have gone up since Ulbricht’s sentencing, and Medibuds is making well over a million dollars this year. In fact, he’s on pace for $1.5 million in 2015, according to publicly available sales and feedback records. There are a handful of stories from Medibuds’ customers floating around to add weight to those words. One review from last year shows a customer in hospice care receiving a little extra beyond what she ordered—triple strength cannabis chocolate bars, top end vaporizer cartridges—to add a little extra to her final days. Like anything on the Dark Net, the story is unverifiable, but it connected with at least a few readers. Ulbricht’s legacy is big and unclear but an undeniable part of it is that he’s helped create more than a few new millionaires that otherwise probably wouldn’t exist. Just this week, some of the world’s top venture capital firms gave $1 million dollars to OpenBazaar, which has its roots firmly in the political and technical legacy of Ulbricht’s Silk Road. More broadly, the Dark Net markets that followed Silk Road are bigger than everand now Agora, Medibuds’ home, dominates them all. The Medibuds business is three years old, having launched as a medium-sized weed dealer on the original Silk Road in December 2012. Since then, the store has expanded to 10 times its original size. It now sells 53 products, including marijuana ice cream, topical cream, vaporizer oil, chocolate confections and, of course, a ton of old-fashioned pot. That’s a lot of weed being sold but, maybe more importantly, most people agree the weed is really good. This isn’t what you get off your street dealer, it’s medical-quality product, hence the name. Most everything comes pristinely packaged, according to customers. You can easily imagine the chocolate bars sitting on a supermarket shelf with Snickers right beside it. How does Medibuds get so much high quality medical weed to ship out across the world? The theories about the connections required to pull off an operation of this size are numerous, but Medibuds’ customers are worried that these are the kinds of questions that only get answered in indictments after the arrest. They’d rather stay in the dark on the details and get deliveries without a hitch. 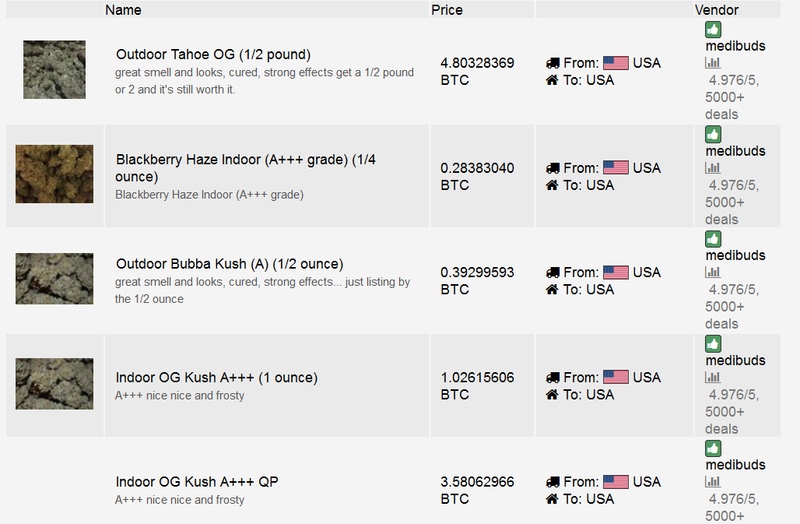 According to metrics on Agora, currently the Dark Net’s biggest market, Medibuds is responsible for the seven best-selling weed products online. The current champion—a Medibuds speciality, of course—is half a pound of Tahoe OG marijuana, which sells for $1,100. Not everything’s that expensive, however. Dozens of deals per day range from a few bucks to over a grand per sale. In total, though, it all adds up to over 6,000 sales on Agora alone in the last year and a half, not mention significant activity that’s nevertheless harder to track on other black markets. Due to the ephemeral and opaque nature of Dark Net markets—some disappear, while others allow secret deals—these numbers account for only the minimum wealth of Medibuds’ growing three year old empire. 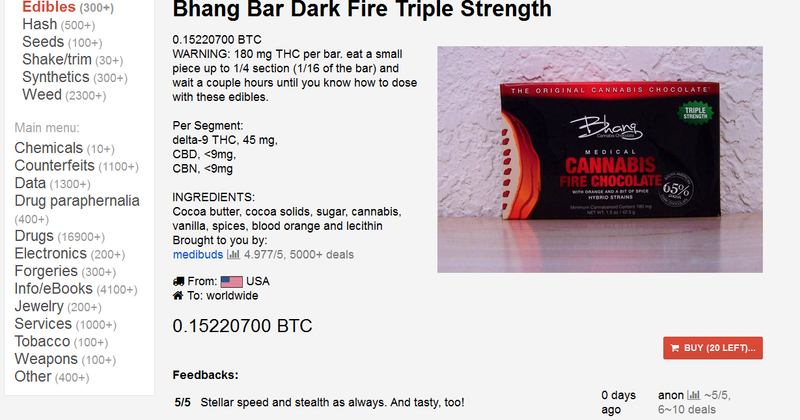 How was Medibuds outlasted Silk Road and the hundreds of markets and dealers that followed in Ulbricht’s footsteps? He’s become a Dark Net institution, he says, by managing growth and staying safe. This entry was tagged Agora, Daily Dot, Marijuana, Medibuds. Bookmark the permalink.